Andrew James Johnson is a British composer-pianist whose first album, Winter Heart has just come out. This comprises eleven tracks of Johnson himself playing the piano, 45 minutes in all. The different tracks each have intriguing names, 'Echoes of Love', 'Moonlight Shadows', 'Taylor's Theme', and so on, yet little else is revealed, we have to listen to the music. Johnson's style owes a lot to a welter of different influences melded into one. We can hear hints of easy listening and jazz, but there is also a sympathy with pianistic textures. This is music founded on improvisation, there is a lovely fluidity to the pieces but Johnson does not simply put his left hand down and improvise over it, things do actually develop. Johnson started out without any formal training in piano, before piano lessons led to a BA in Composition at the London College of Music, and has written music for film and television. 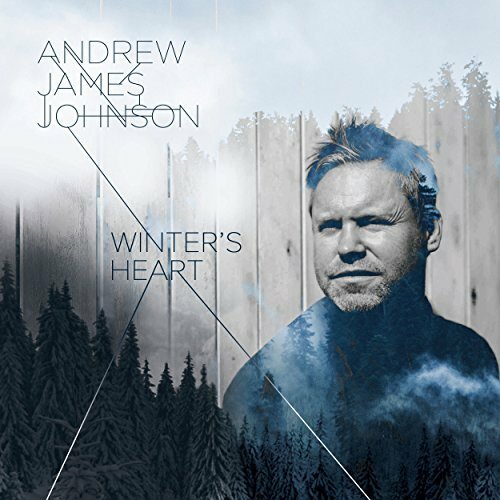 The music music on this disc has a strongly emotional pull, romantic and often yearning, yet Johnson can surprise too with his deft use of different piano textures. It isn't all quite solo music, in Taylor's Theme Johnson is joined by cellist Henry Mann. Whatever the mood being evoked, and this is very much mood music, Johnson's style is always fluid, flowing and not a little melancholy, you suspect that tears are not far away.